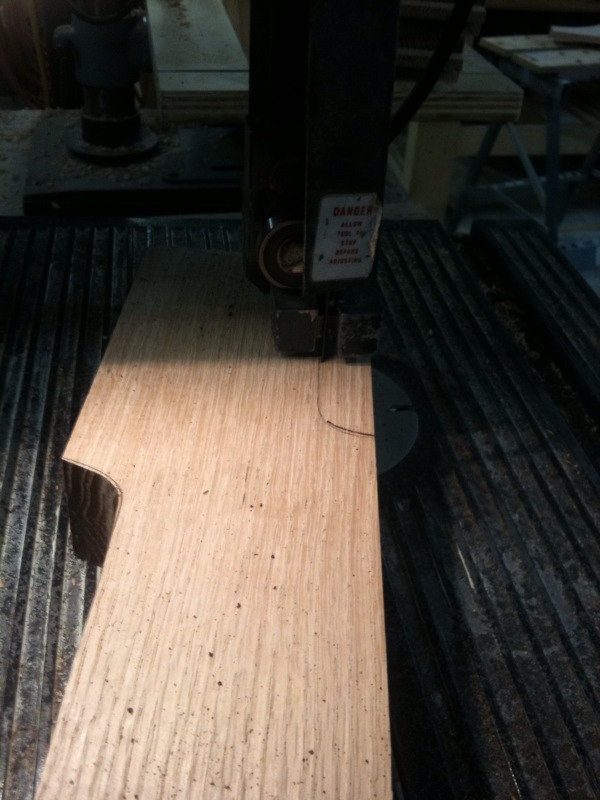 A few weeks ago, I asked a friend if he’d like to learn a little bit about woodworking. I told him we could build whatever he wanted, I would cover all the costs and he could keep the project if he would agree to work along side me during the build. 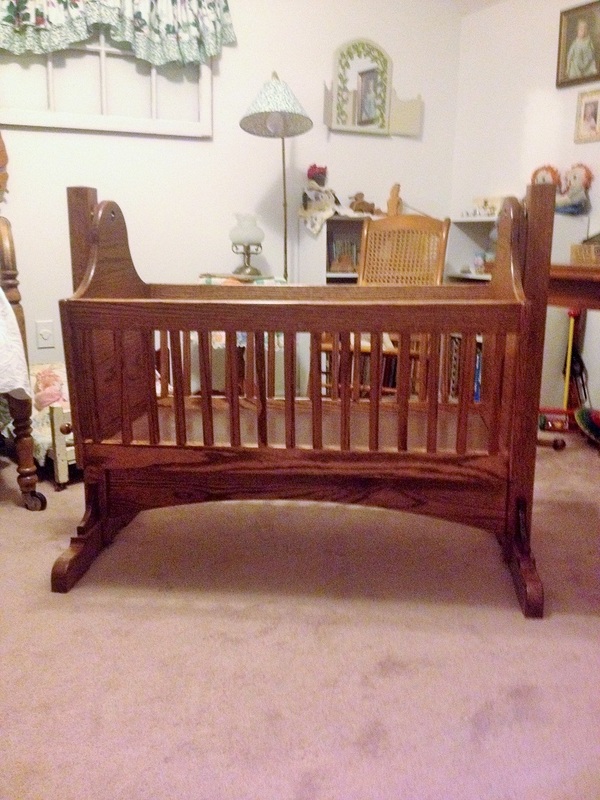 His wife chose for us to build a baby cradle for future grandchildren. 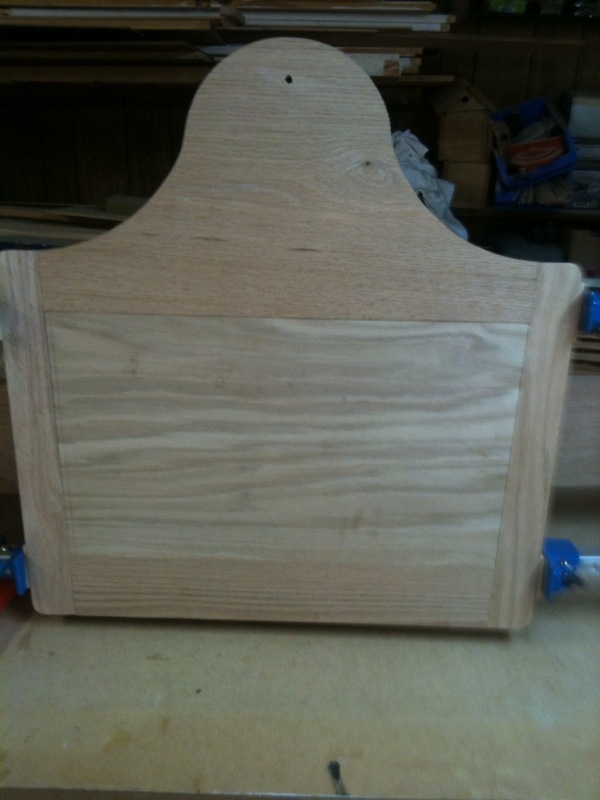 For two Saturdays and a couple of short evenings, I spent time teaching him the basics of the woodworking craft. That’s how I make good friends, that’s how I share my hobby. 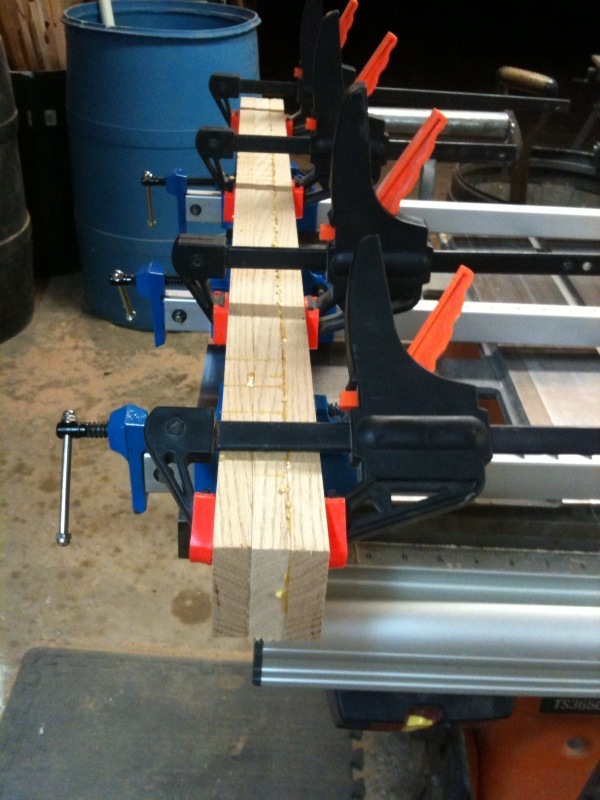 After planing down several boards to 3/4″ thickness, we glued up stock for the legs. In the illustrations below, we cut mortises for the feet and stretcher to be attached later. 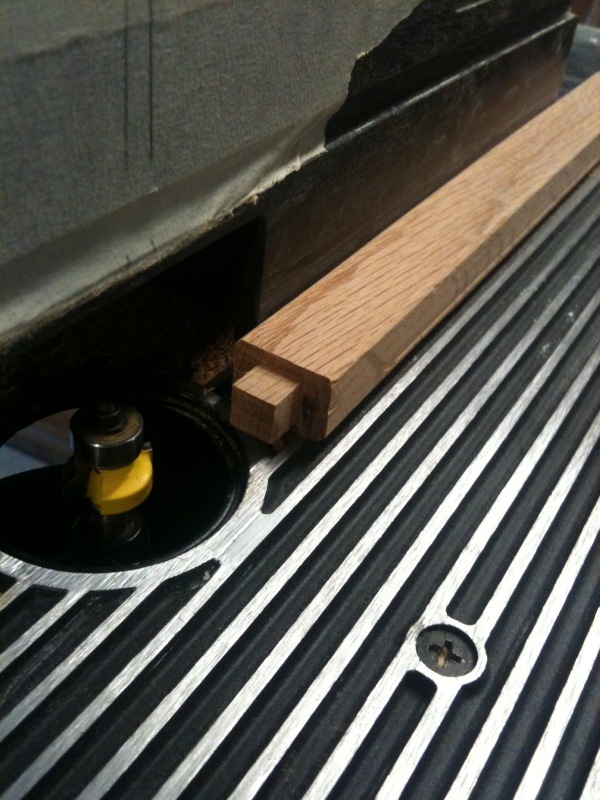 We followed up by drilling holes to accept the pivot mechanism that the actual cradle will swing from. 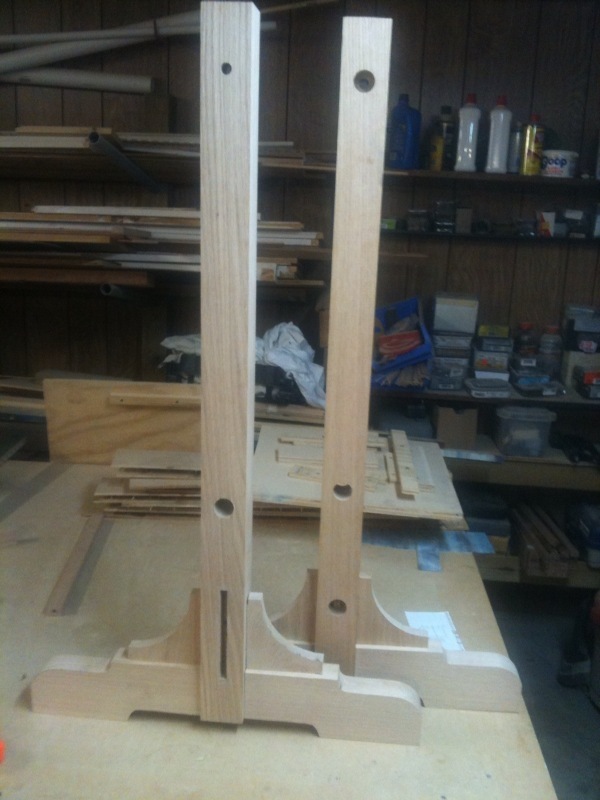 We topped it with a nice, decorative chamfer on the top of the legs. 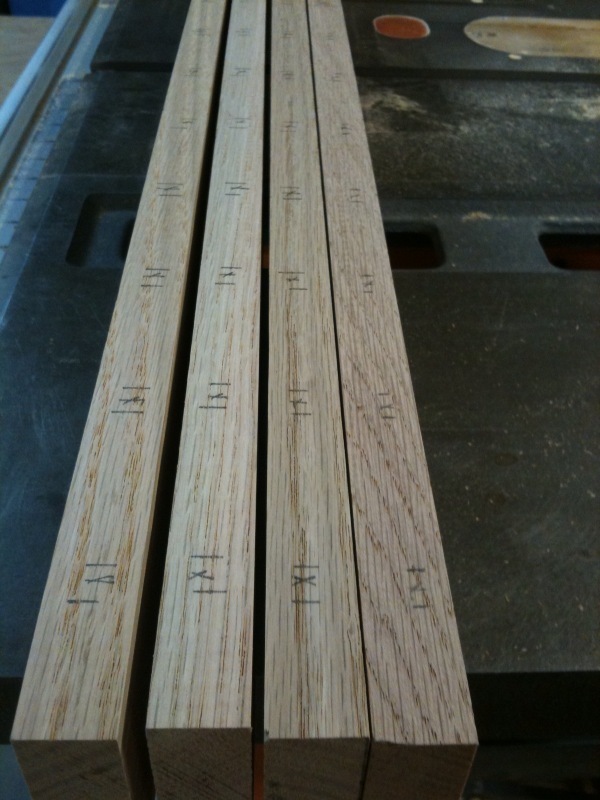 Gluing up stock for the legs. 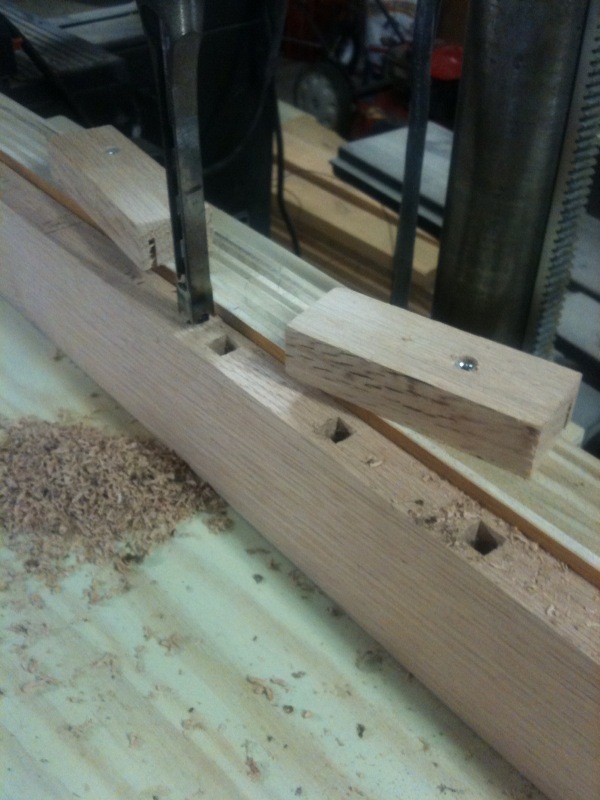 Cutting a mortise for the stretcher. Drilling a hole for the pivot pin. 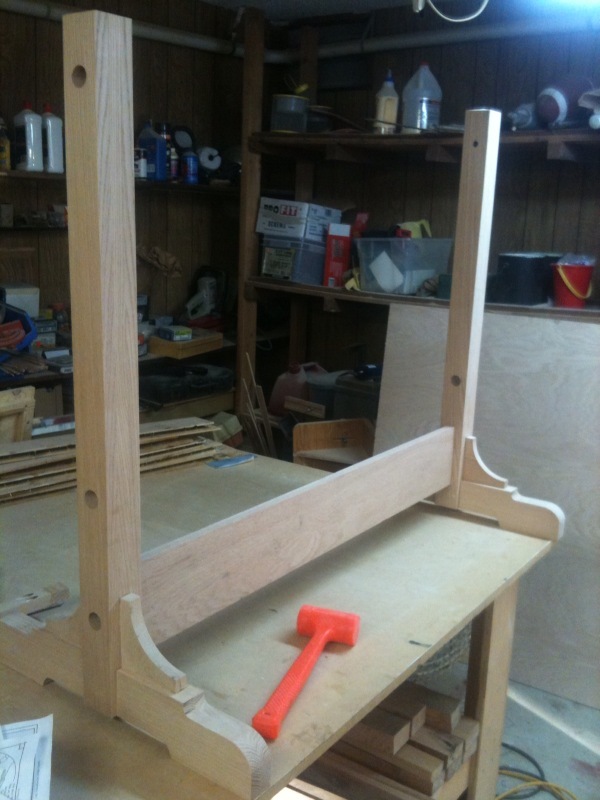 Next, we cut the feet that attach to the legs and give the cradle a stable base. 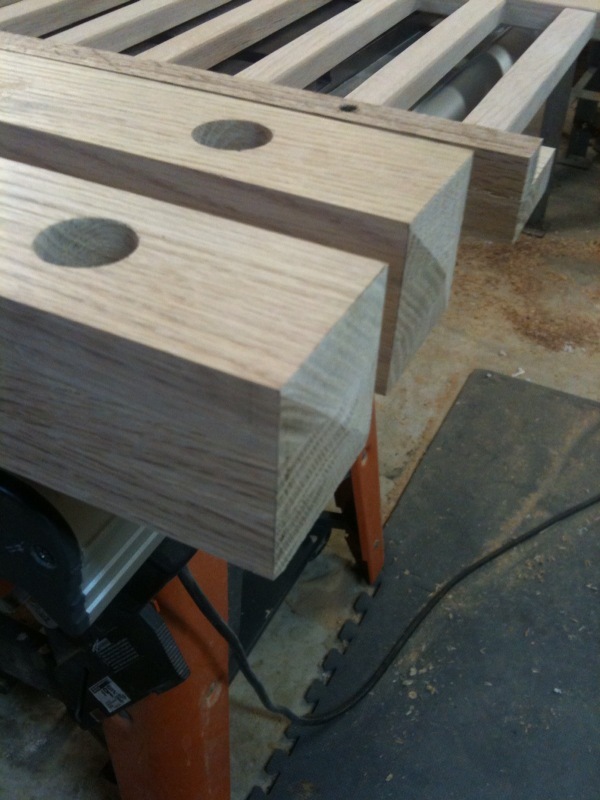 Once they were glued in place with mortise and tenon joinery, we added a decorative corbel to strengthen the joint. Lastly, we added the stretcher to tie it all together. 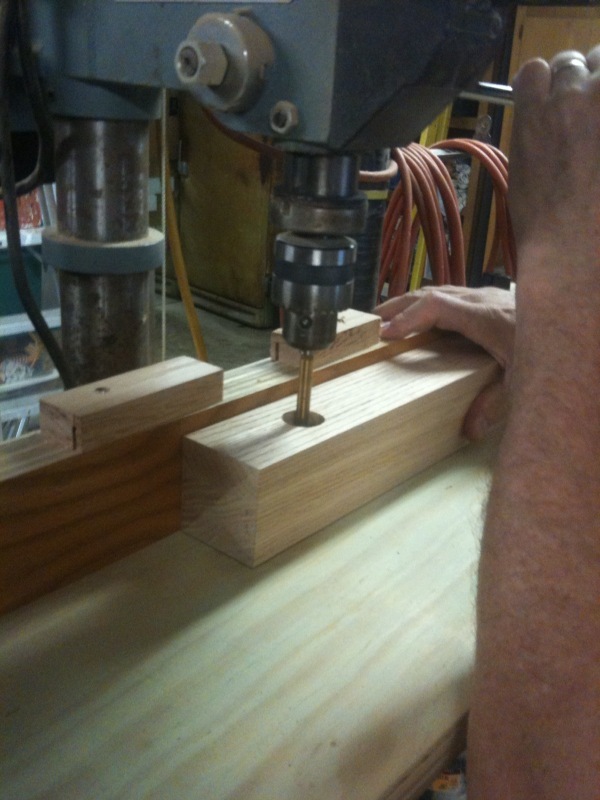 The stretcher is glued in place and reinforced with a long lag screw. 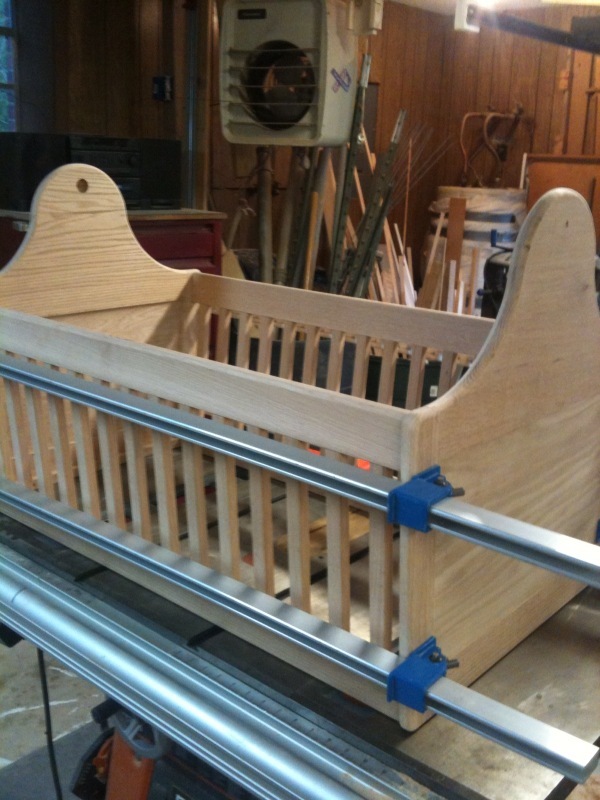 We began by cutting the top and bottom rails, and the spindles that make up the sides of the cradle. 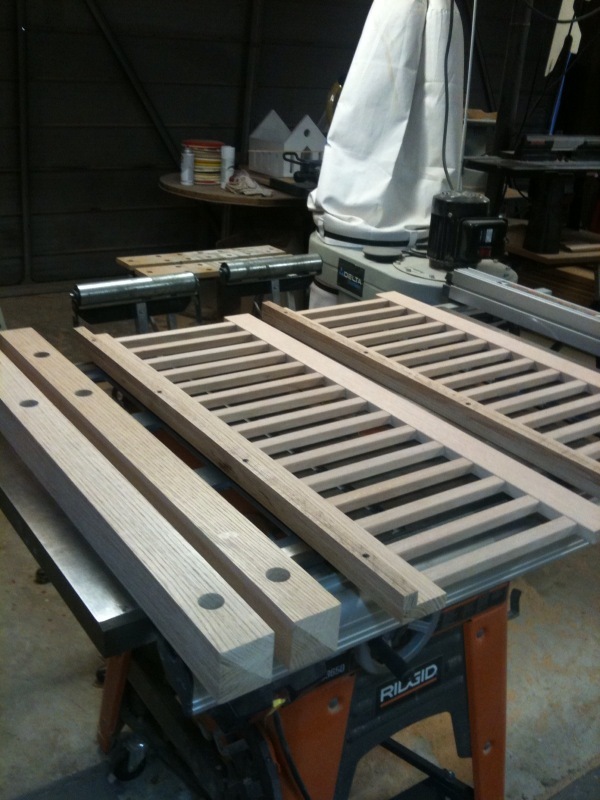 The spindles are evenly spaced and glued into the rails for a solid connection. We finished off by rounding over the edges of the top and bottom rails. 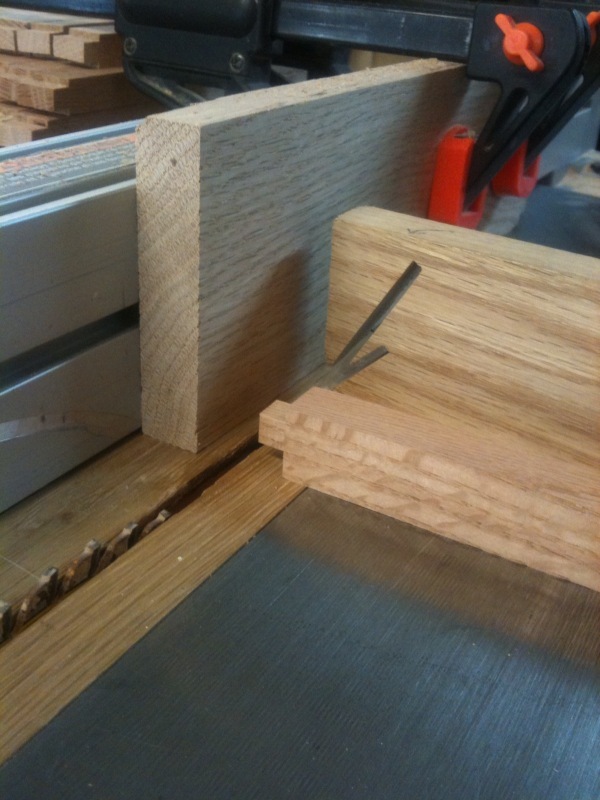 Cutting the mortises. Notice we’re making square holes! 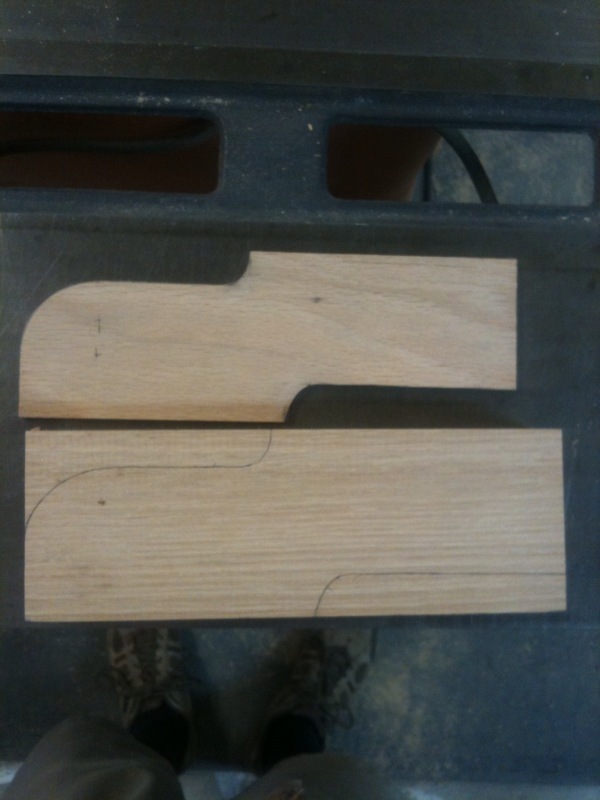 Here’s what the sides look like when put together. Notice we added a strip of wood on the lower rail. 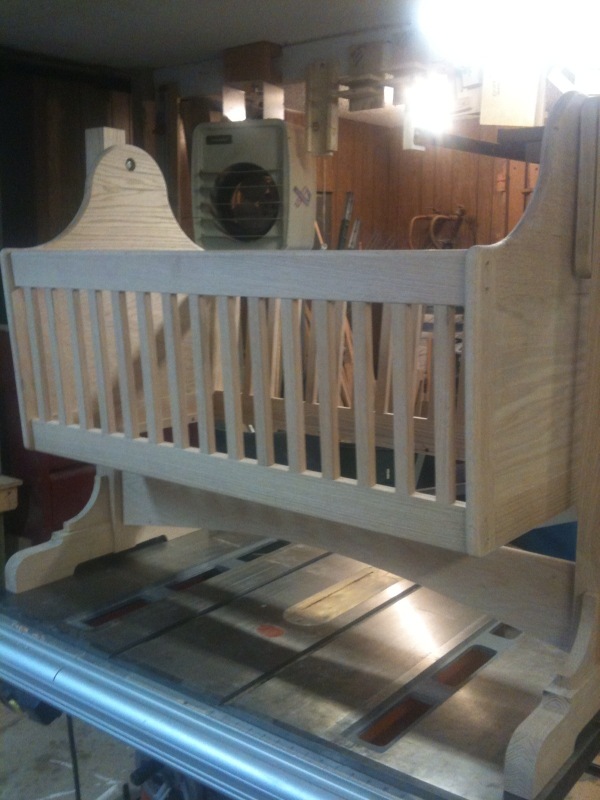 This will hold a piece of plywood for the bottom of the cradle. 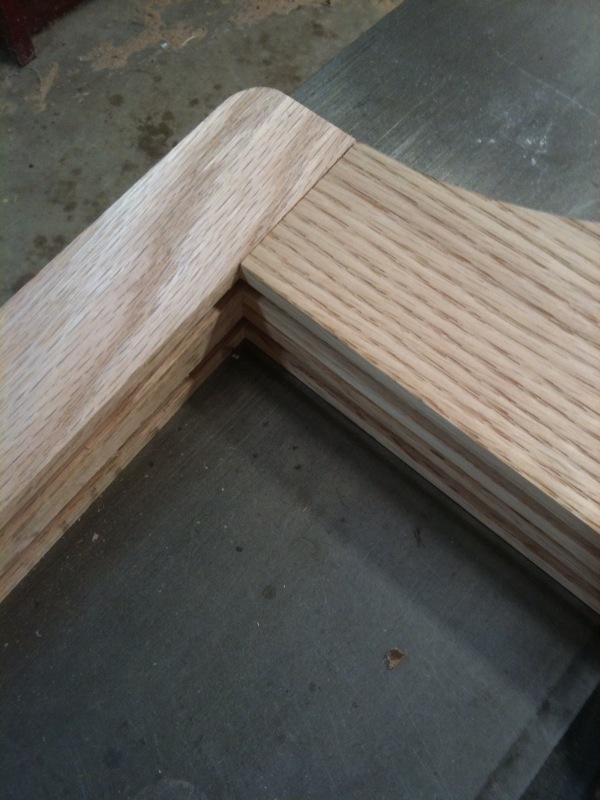 We started by creating two end panel frames using what is know as stub mortise and tenon joinery. 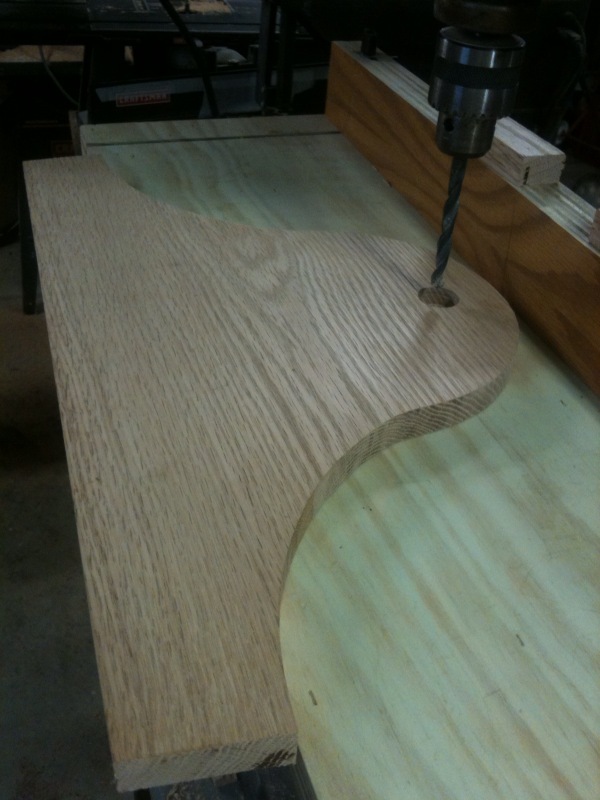 This creates a solid frame for the panel insert. 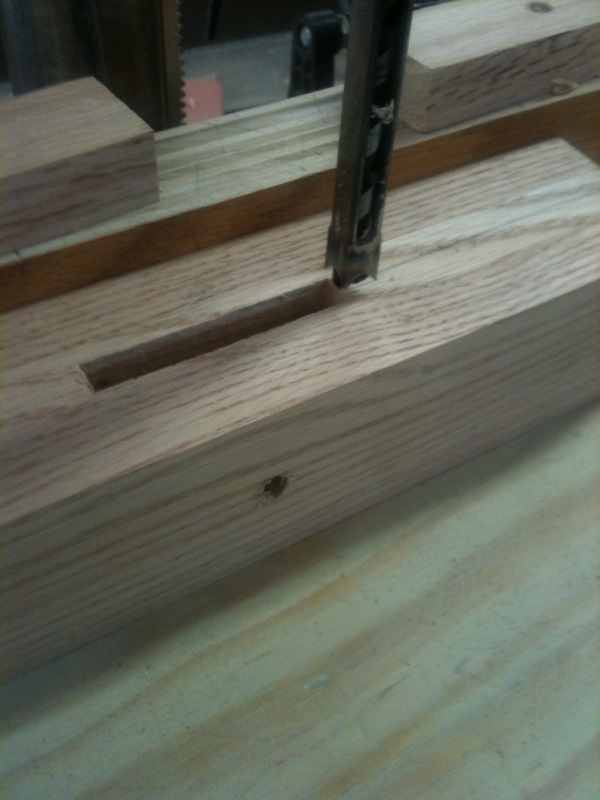 After cutting a pattern on the tops of the sides, we drilled the hole that the cradle will pivot on after being connected to the leg frame. 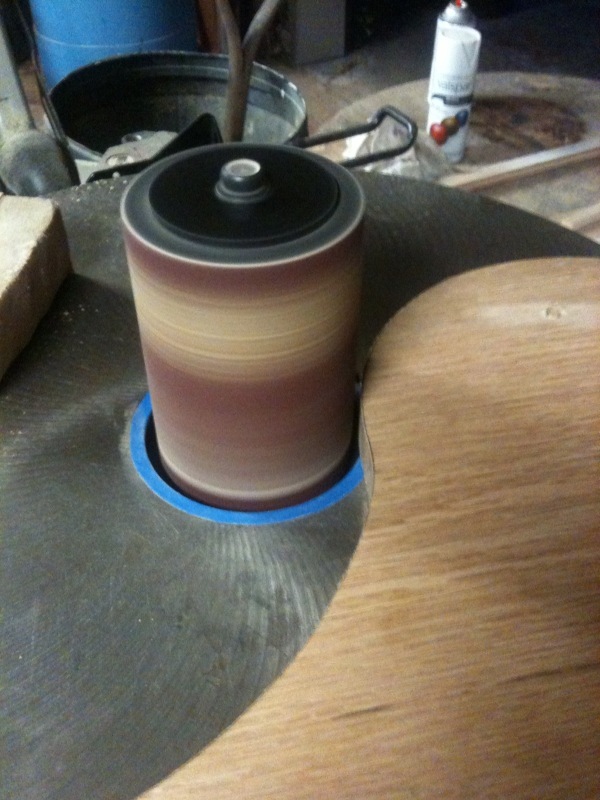 Once the top was milled, we added the side panel insert and glued the frame together. To connect the sides to the end panels, we drilled screws through the end panels and into the side rails. We used two wood screws on each rail. To hide the screws, we drilled countersink holes for wooden buttons to cover the screw heads, which gave it a nice, finished look. 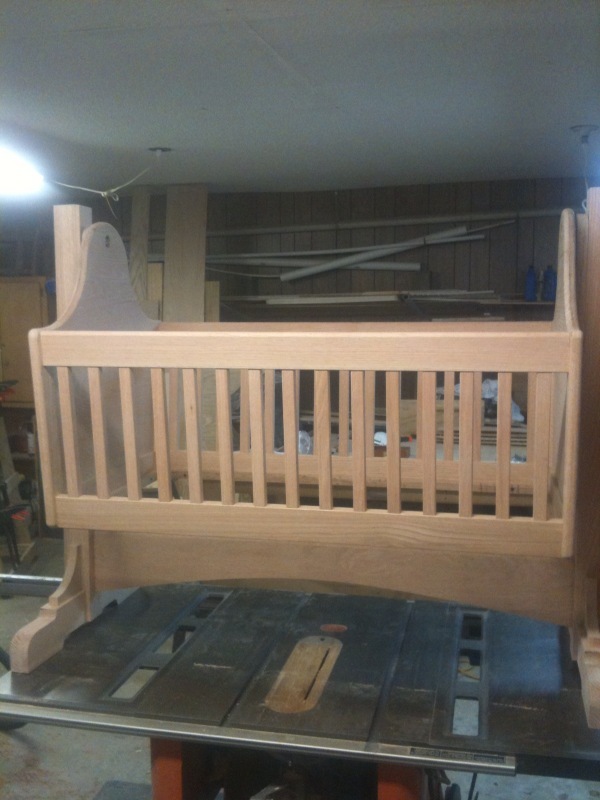 A coat of Early American stain and three coats of semi-gloss polyurethane gives this cradle a warm, inviting look. Once the mattress is added, it’ll be ready to rock-a-bye baby! 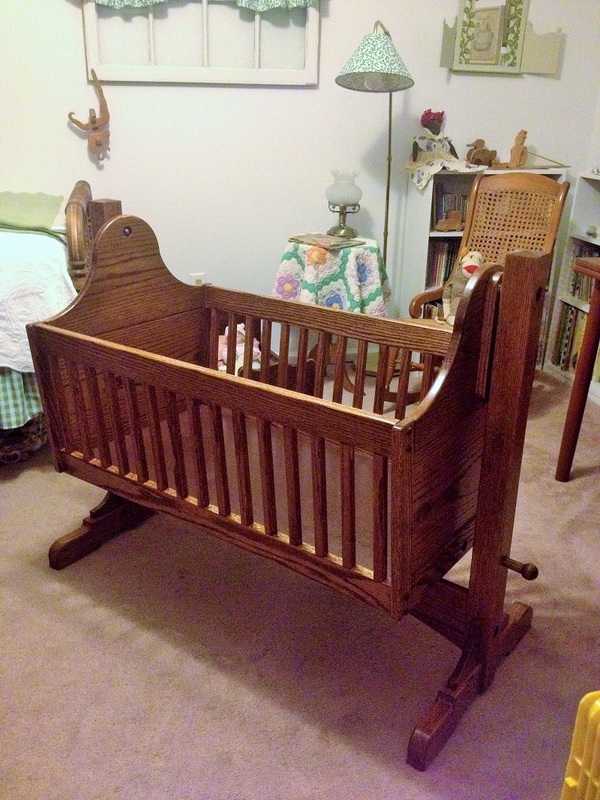 1 Comment on "Building an Heirloom Baby Cradle"
Beautiful…. such a fine job.